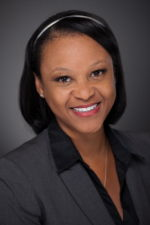 Krystal Belton has extensive experience in accreditation compliance. Before joining Tangram in 2017, she spent 10 years managing the compliance department for Harrison College, which included 14 campus locations. At Tangram, Krystal oversees areas in compliance policy, procedure, reporting, and auditing and works closely with Human Resources, Finance, and Operations. She received her MBA in Management from Indiana Tech in 2005. Krystal lives in Indianapolis with her husband and one son. She has a second son attending Purdue University.